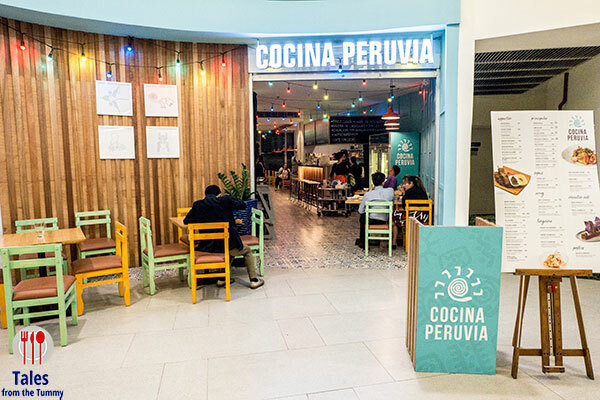 Cocina Peruvia has grown to 3 branches since I visited, the most recent one opened on the 5/F of The Podium. I like the Podium branch a lot more, interiors and furniture are brighter but it still has the vibrant color pops. 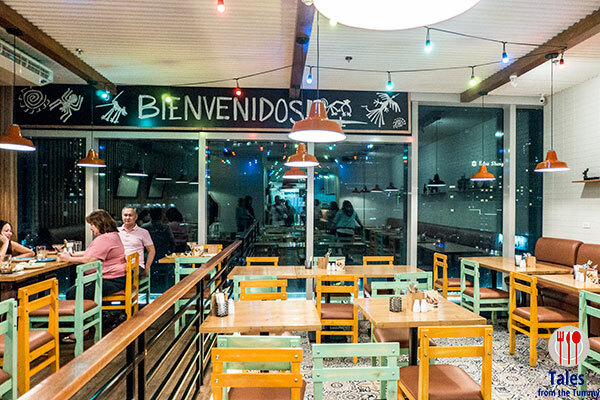 Ceviche Mixtos (P290). Squid, mussels, shrimp and octopus with aji rocoto and citrus with surprising sweet potato cubes. 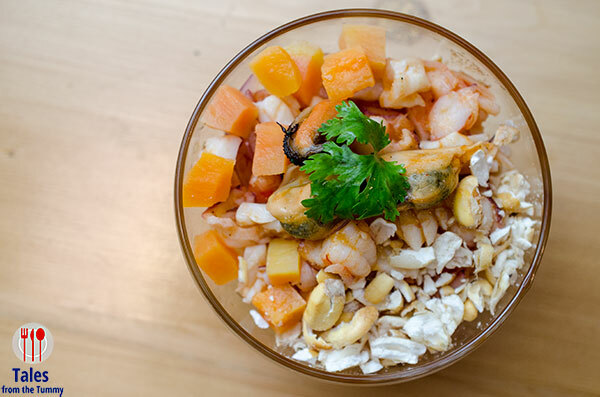 We enjoyed the piquant flavors which marries well with the seafood and the creamy sweetness of sweet potatoes. The only thing missing would have more cancha (toasted Peruvian corn). Nachos Peruanos (P200). 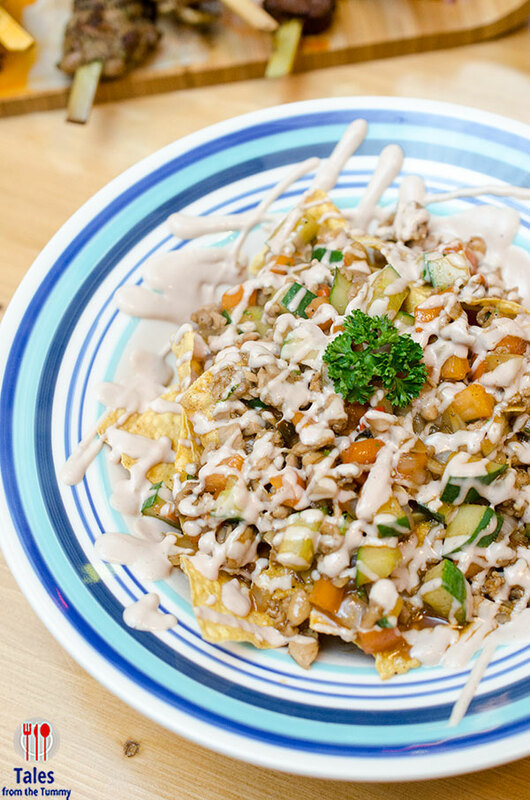 Nacho chips with chicken, cucumber, tomatoes, onion, chili and drizzled with purple olive mayo. 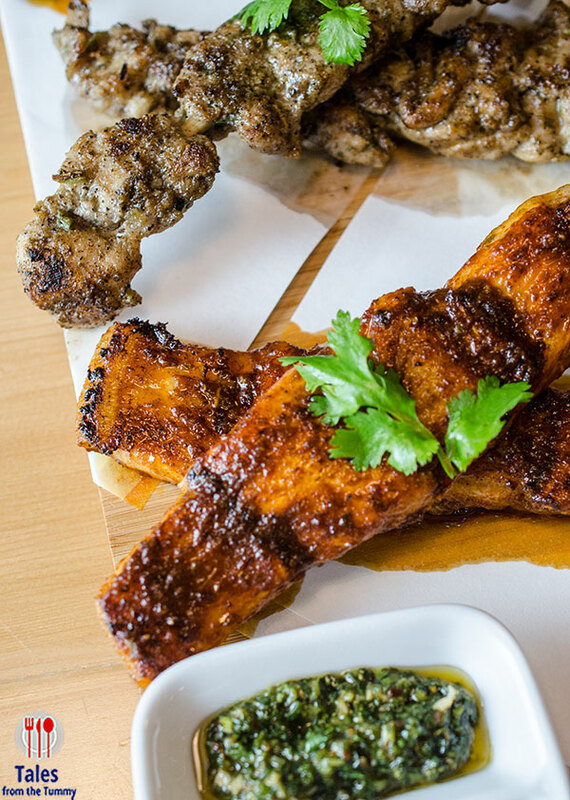 It’s a familiar appetizer sharing dish but with decidedly Peruvian flavors. There’s creaminess from the mayo and bright punches from the cucumber and tomatoes while the chili provided a little zing. Mixto Anticuchos (P600/1090). Grilled skewers of chicken, salmon belly and beef hearts. This is listed in the appetizer section of the menu but can really be part of your main dishes. I was hesitant to try the beef hearts but I finally summoned up the courage, and I’m glad I did. The beef hearts did not taste like what I had imagined (gooey, soft, offal like) instead it was like a softer piece of beef. The seasoning for all the skewers were strong and balanced so you’ll love them all but if you want to temper it just smear a bit of chimichurri. 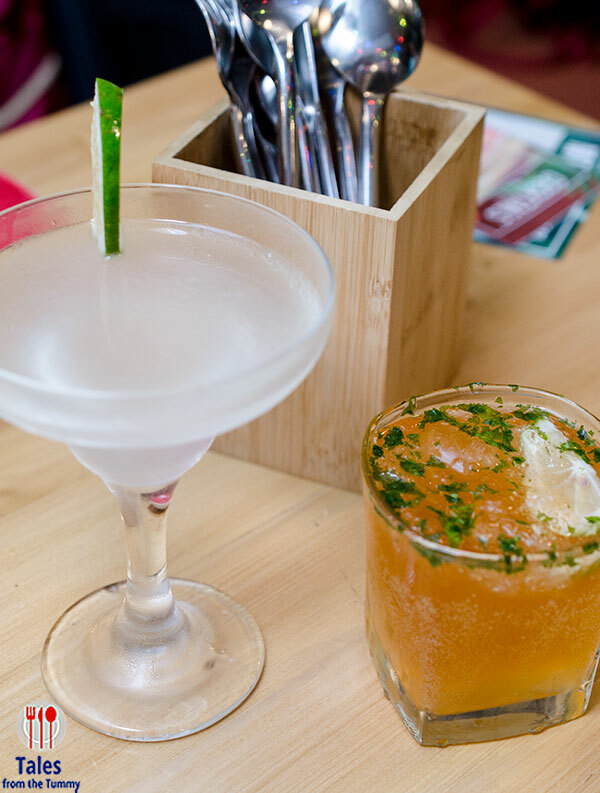 Pair your food with some cocktails for an after work treat or a lazy weekend. They have some interesting concoctions from the classic Daiquiri to the unique Mango Margarita and their signature Peruvian Pisco Sour (P320). Adobo Peruvia (P400/P1190). 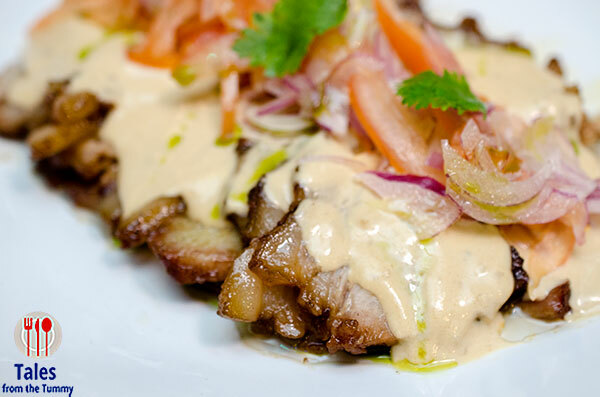 Slow cooked pork belly in a delicious cream sauce topped with salsa creole. There’s no shortage of flavor in this dish and I’m sure everyone will love the smoky pork coated with the silky and creamy sauce with the salsa providing a contrasting freshness. 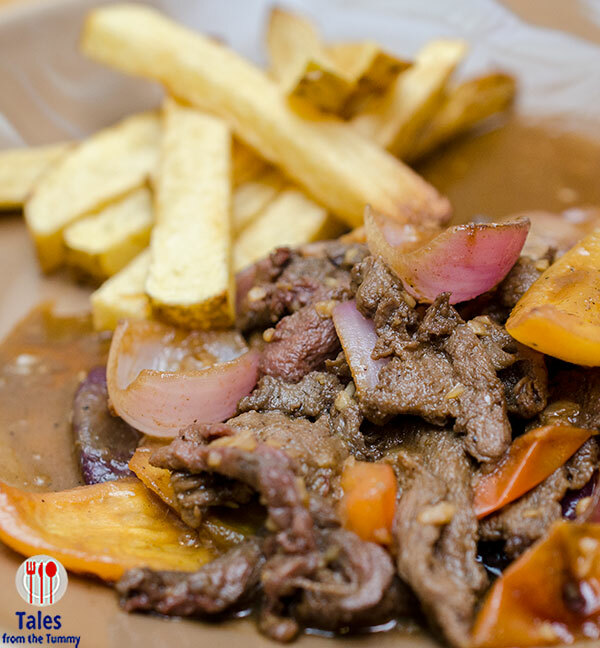 Lomo Saltado (P450/P1190). Marinated beef tenderloin with onions and tomatoes , served with french fries. I’ve had this dish in many places as well as our previous visit to Cocina Peruvia but this time it tasted better with more nuanced flavors. You can eat this with just the fries as your carb component and to sop up all the sauce or order a side of rice. 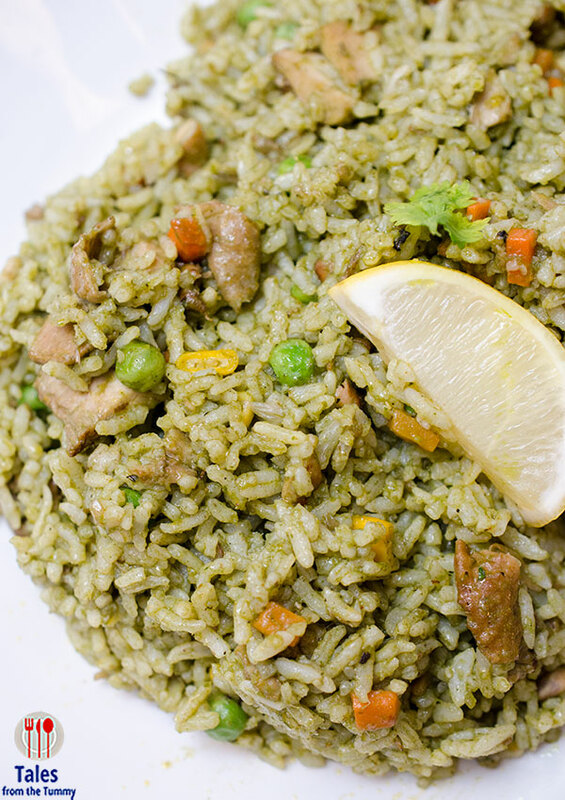 Arroz Verde con Pollo (P320/P790). Rice with chicken, cilantro puree, and mixed vegetables. This dish is flavorful and has enough toppings as a meal in itself. Squeeze a little lemon on top to add brightness. 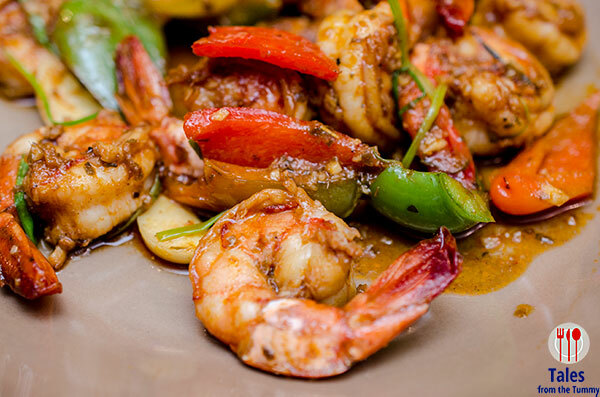 Gambas con Saltado (P450). This was my first time to see a saltado (stir fry) that is not beef so Irene could finally partake. Shrimps cooked with butter, garlic, bell pepper, lemon and Aji panca (Peruvian red pepper). There’s only one dessert item on the menu and it’s Galera de Chocolate (P350). 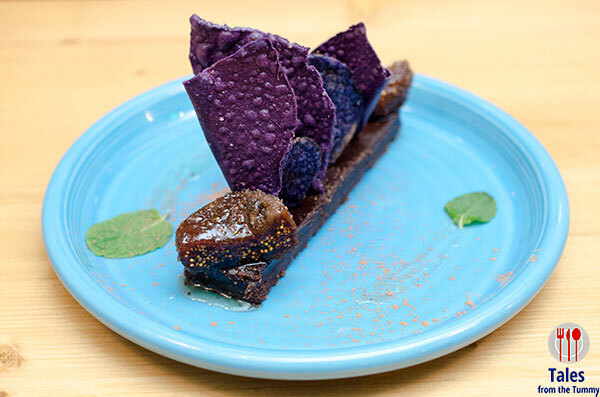 Dark chocolate ganache with dried figs with syrup and blue corn tortilla shards.